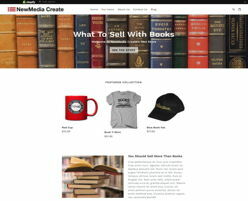 It's fast and easy when you hire NewMedia Ecom to get you started. ... depending on your needs and budget. Business Proposition 1:You can source items like mugs, t-shirts, glassware (locally, regionally, or nationally,) that you can customize with your "brand," put them on your website, tell your customers about your site, and they will buy. It would amaze you what people will buy online! Business Proposition 2: Is there a niche cause, or hobby or sport, etc., that you are passionate about? Be it dogs, or baseball, or crafts, or stamp collecting, or astronomy... etc., you can buy items (wholesale) to sell to specialized markets at retail. With good marketing, people will find them... and buy them. "Our clients don't care how much we know until they know how much we care!" Years of experience creating websites. We understand business AND tech. We are honest and we will not lie to you. We charge a fair price for quality service. We say "Proudly made in the USA!" We don't have clients... we have friends. We looked at all the Ecom platforms and found Shopify and WooCommerce to be the best. Shopify has many payment gateways. WooCommerce is pre-configured for PayPal. Both have tax and currency support. Shopify scales well for large stores. WooCommerce has many free templates. 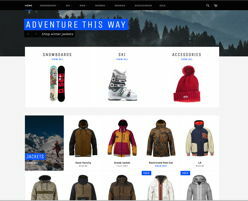 We will build your site with WordPress and WooCommerce OR with Shopify depending on your needs. Will bring you the best e-commerce system available for an affordable price. Call us. We answer our phones and email... same day... often same hour! You can put your title or logo on all sorts of 'stuff.' People will buy it. 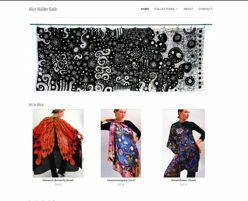 This store was done for a woman who sells batik wearables and art. 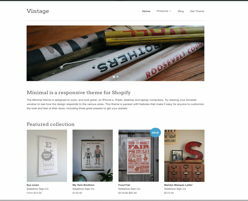 There are lots of different themes you can use... one for every kind of store. We'll help you choose one. There is no end to the kinds of clothing that you can source locally or cheaply off-shore. Don't sell your book on Amazon. Sell it from your own site and keep all the money! 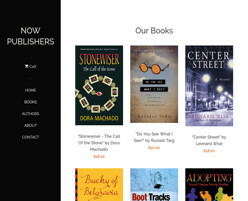 Publishers should sell their books themselves and cut out the middle channel. 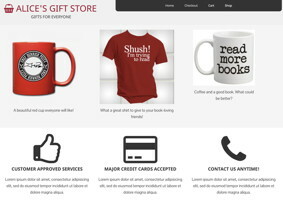 It is easy to set up a simple gift shop... like this demo shows. 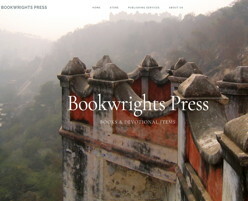 This is a nice clean site... very affordable with WordPress and WooCommerce. Our mission and business model is very simple. 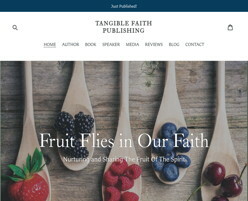 We create nice looking ecommerce websites for small businesses… and especially publishers, authors, and other creative types. Our service is targeted to those who want a shopping-cart website, have little or no idea how to get one OR who don’t want to make the effort. Our goal is to get client sites up in a week of work once we have all of the content. We are not wedded to any concept or any methodology and are happy to get ideas. We are happy to receive comments, criticism, and suggestions from our client base. We want them to feel free to offer ideas and suggestions… we’re happy to hear anything and everything they might come up with. We guarantee our work... totally. No questions asked. If you don't like it, you don't pay for it. Bottom line, our mission is to do good work at a fair price, to treat our customers fairly, not promise what we can’t deliver, not take on work that is beyond our focus, and to always do what is best for the customer and what is right for the customer. "We don't have clients... we have friends." Have a question about how we can help you get into an online business? Feel free to email us, or call!